For more than 20 years, Matthias Goldbeck has been working in several responsible communication positions, before entering the consulting business in 2017. Up to then he had been head of corporate communications at Allianz Germany. Prior to this, Matthias Goldbeck was Divisional Head of Group Internal Communications at Commerzbank. 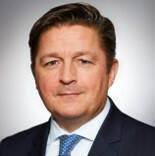 In this role, he had been responsible for all internal communications on the occasion of the take-over and integration of Dresdner Bank into Commerzbank. Matthias Goldbeck is a trained banker and a Master of Business Administration from the University of Bayreuth. As a result of his many years of experience, Matthias Goldbeck advises clients on strategic or operational communication issues during change processes or other exceptional situations. Matthias draws on particular experience in internal change communication, CEO-positioning as well as crisis communication.